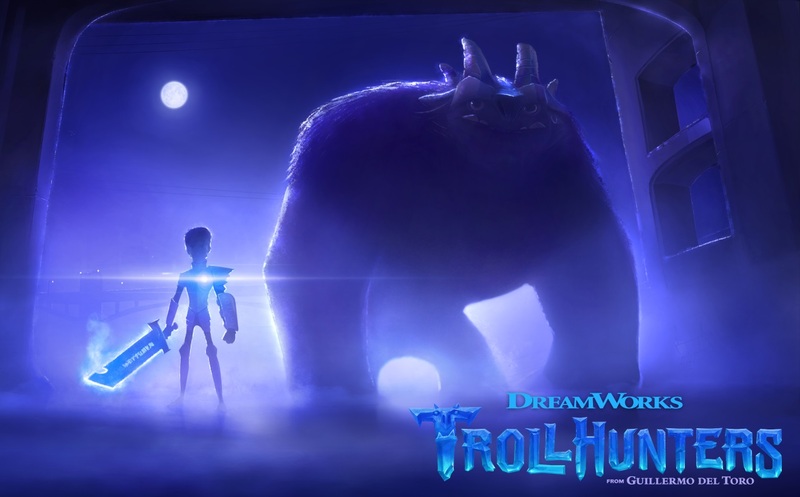 Just released this morning with the news of Guillermo del Toro’s Masterclass at Annecy, a new sneak peek at Guillermo del Toro’s Netflix Original Series TROLLHUNTERS from DreamWorks debuting later this year. DreamWorks TROLLHUNTERS will unleash a new, fantastical world wrapped around the residents of the fictional suburb of Arcadia who make a startling discovery that the world beneath their hometown is as vast and mind-blowing as anything on the surface. A global must-see viewing event for the entire family, DreamWorks TROLLHUNTERS will bring viewers of all ages around the world into the rich and creative mind of Guillermo del Toro. Guillermo del Toro will join Annecy during a Masterclass on Wednesday 15th June at 4 pm. Guillermo del Toro’s work as a director, screenwriter, filmmaker, producer and author is incredibly extensive and varied, ranging from novels to comic books and television to imaginative feature films. Throughout his career, he has consistently had a strong connection and lifelong fascination with fantastical creatures and in DreamWorks TROLLHUNTERS he has created vast and vibrant worlds with complex human and troll characters that create a cinematic television experience.